tools: What you will need? 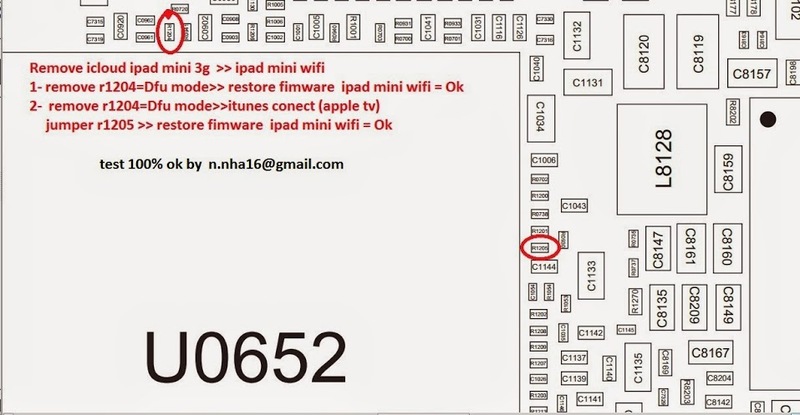 you need hot air station hot air gun do not use others small bits of plastic to wedge between the touch 2 small pry open tool (can get it from ebay or any plastic shop ) pencil sharpener magnify lens ( to be safe dont miss letters ) and a lot of patience not mess things, Google, youtube is the best tools to unlock icloud ipad. 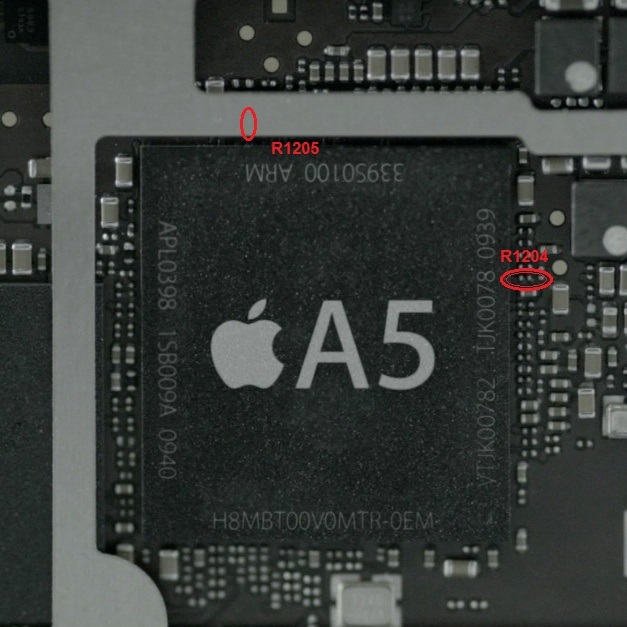 the r1204 is on the left side of the A5 chip and the r1205 is on the top its hidden under cover of metal no need to take the logic board out important figured out the location time to remove the r1204 with air station or soldering iron 5w with a very small tip the r1205 does not exist its blank space use the pencil very sharp and draw a line between the gaps.